Pre-registration for the remaining WCBC Major events, the Doublecross, Shorefire, and Savage is open. Take advantage of the Early pre-registration fees and save an extra $5 over the pre-registration discounted fee. 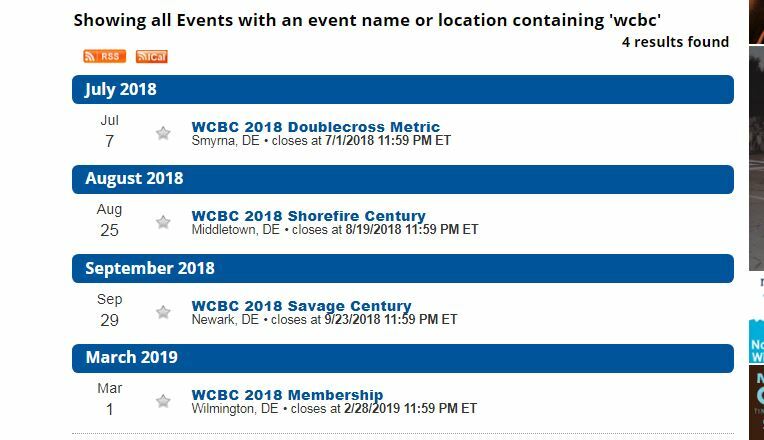 Go to BikeReg.com and search for WCBC to display a list of active WCBC events, including Membership for 2018. Pay attention to the dates as Early pre-registration closes about a month in advance of each event. We will still be offering the pre-registration discounted fee but they too close about a week in advance of the event. Please visit the website or reach out to the Major Event Director should you have any questions or need more information.